The war against wage disparity in Ohio is coming to the statehouse. 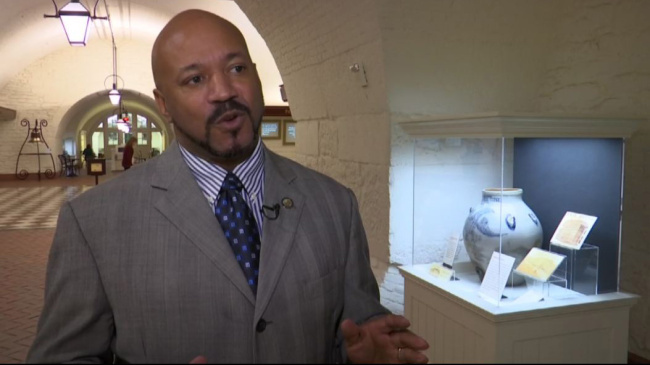 State Representative Thomas West just introduced a bill that would make it OK for some employees to talk about their wages freely, and would prohibit some employers from seeking wage history on applications. West was appalled when he found out he was paid more than a woman who did the exact same tasks at a previous job. It is what led him to led him to put forth legislation to end that practice as a freshman lawmaker. According to West, the first step in ending the wage gap is to make a few changes. House Bill 385 would prohibit state agencies from seeking wage history on applications. According to the city of Columbus, this is something it is already contemplating doing. “If we could eliminate that question altogether, then that will help us to reduce the wage disparity gap that exists within Ohio,” West said. A key part of West’s legislation is that it would only apply to state agencies; the private sector would not be affected directly. West also wants to allow state employees to be able to discuss their wages openly. Private companies prohibit such talk to maintain a positive work environment and limit turnover of unhappy employees leaving over earnings disputes. West says this mentality allows companies to create gender and racial inequality in wages. “If you give a person adequate income, then they’re going to be able to meet your needs and actually probably reduce the amount of money they have to pay out,” West said. Despite the fact that public sector wages aren’t hidden like in the private sector, West wants to start eliminating the wage gap within the public sector. “We’ve learned that the government actually is a worse offender,” West said. That brings us to the final part of HB 385, which would create a commission to study how these changes affect things for five years, and at the end of the study the commission would publish a report. It is West’s hope that the private sector will see that the long term benefits of being open an honest about employee wages, and treating everyone fairly, that will create a better work environment than one shrouded in secrecy. If things work out the way West would like them to, the private sector may adopt the changes he is proposing on its own.